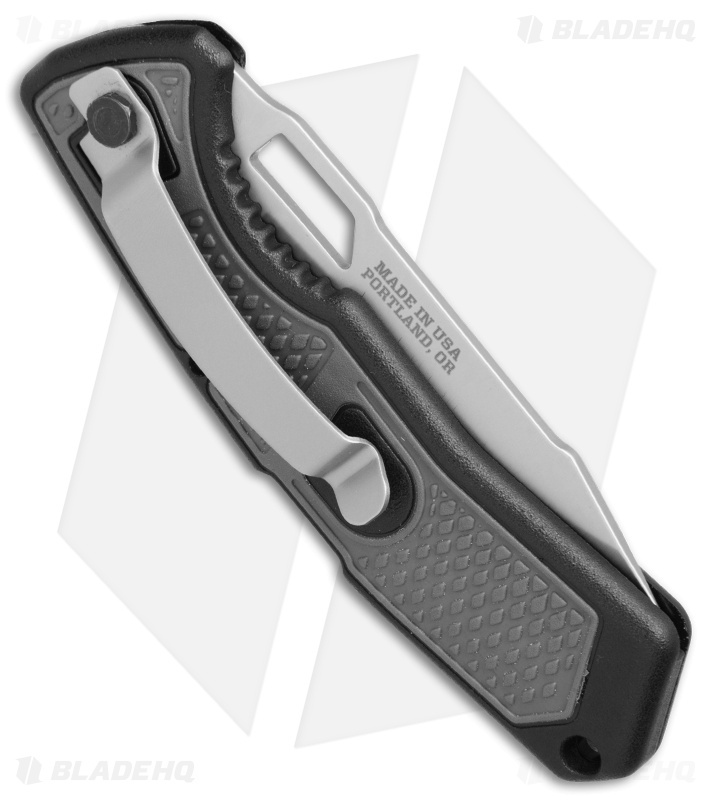 This Gerber Order model has a gray finished blade with a plain edge and a black GFN handle with gray rubber inserts. The Gerber Order folding knife with clip point blade is a tactical knife created for the needs of soldiers and emergency personnel. 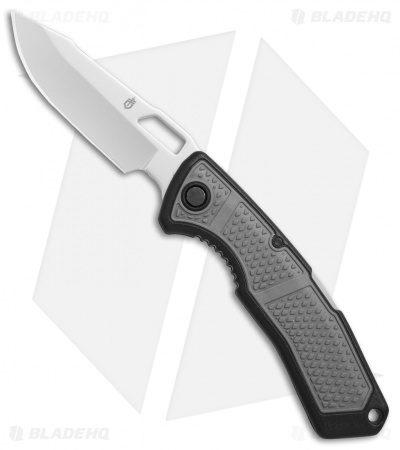 The design of the knife can accommodate cutting, prying, digging, and defense. The glass-filled nylon handles are durable and able to withstand a level of punishment. A rubberized over molding has a diamond design to enhance grip and control in all weather conditions. The thumb hole in the blade offers easy, one-handed opening, and the lock back mechanism provides secure lock up during heavy duty work. Razor sharp blade. Easy tighten if need be unlike review below. I love the light polymer handle. Took a little bit to get used to but it is very strong and durable like the polymer of the glock or HK pistol. Keep ur money put it on a rat1 or 2 blade feels so loose no wayto tighten it up. Wet noodle folks came razor sharp thats bout it. 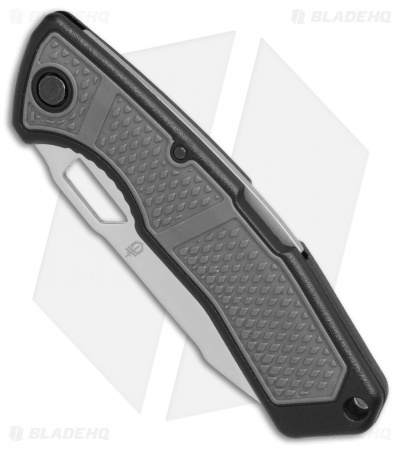 Im done with gerber myself too many times folks too many times. I really like this knife. I prefer the Fine Edge to Combo Edge and like the colors. I think it is a Good knife. It is made well and has an affordable price. The sale price I bought it at makes it a great deal. The pocket clip is fixed at tip down right hand carry but I just throw it in my pocket. 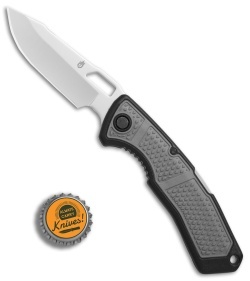 There are better knives and I own better, this appeals to me by being just plain Good. Worth the 15 bucks but everything else besides the blade is terrible quality.